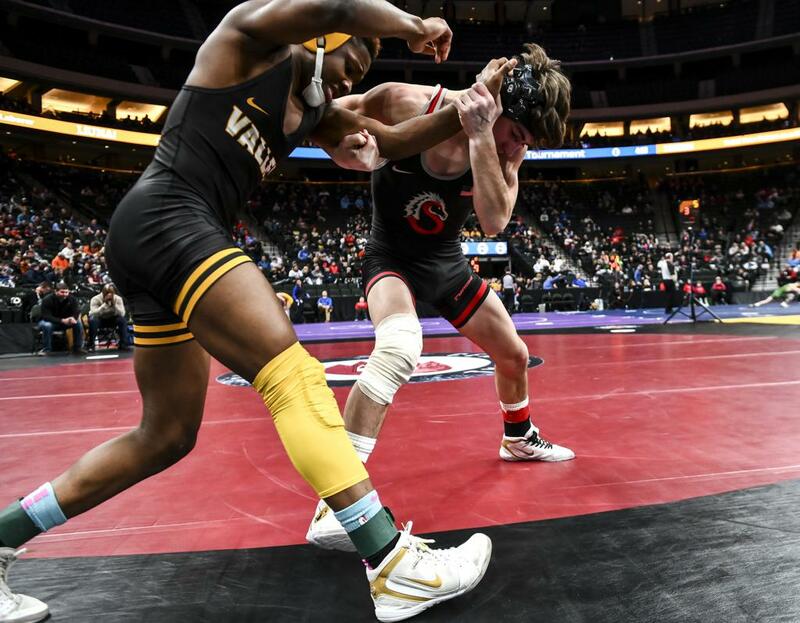 All things considered, Lynden Wilson was as pleased as possible after his first-round loss to Shakopee’s Tyler Jones at 126 pounds in the Class 3A wrestling state tournament on Friday. Just qualifying as an invididual for the meet was pretty satisfying. Wilson, a senior from Hastings, had spent the three previous seasons battling various stages of Hodgkin’s lymphoma, as well as neuropathy in his hands that developed as a result of chemotherapy. The afflictions sidetracked Wilson’s wrestling life, keeping him from chasing his passion. He wasn’t completely devoid of wrestling, having persevered during those times and competing when he could. He did it for the love of the sport, thought he was never the wrestler he thought he could be. If Wilson has one regret, it’s that the treatments for cancer kept him from advancing at the same rate as his peers. As his cancer fades, going on three years since he was declared cancer-free, Wilson has learned to appreciate every chance he gets to step on the mat. No one would ever call former University of Minnesota wrestling coach J Robinson’s wrestling camps easy. They do, however, pay off. Rosemount senior Ezayah Oropeza was a runner-up at 220 pounds last season. Two first-period pins at 220 Friday improved his record to 40-0, setting him up for a shot at the state championship that eluded him a year ago. Oropezah admitted that the camp had goals other than fun in mind. Apple Valley senior Sebas Swiggum pinned both of his opponents at 138 pounds, setting up a rematch with Stillwater’s Trey Kruse in Saturday’s semifinals. Kruse beat Swiggum during the regular season, which Swiggum said could work in his favor. Emily Shilson’s third shot at state history ended in the same way as her first two: with a first-round loss. 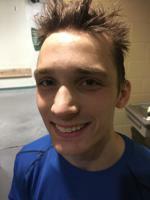 The senior 106-pounder, who wrestled for Mounds View this season, lost to Zachary Silvis of Park of Cottage Grove in the first round. It was the third consecutive year that Shilson failed to become the first girl to win a championship-round match at the state meet. She did not qualify for the wrestlebacks, meaning her high school career is over. Shilson won the Women’s World Cadet championship at 43 kilograms last summer. In the hunt for a second consecutive state title: Derrick Cardinal, Forest Lake, 120; Reid Ballantyne, Stillwater, 126; Cael Carlson, Willmar, 145; Zach Glazier, Albert Lea, 182; Cade King, Owatonna, 182. Cael Carlson, Willmar, 40-0 (145); Gabe Nagel, Little Falls, 44-0 (160); Riley Habisch, Buffalo, 37-0 (170); Zach Glazier, Albert Lea, 45-0 (182); Calvin Sund, Prior Lake, 37-0 (195); Ezayah Oropezah, Rosemount, 40-0 (220); Bryce Benhart, Lakeville North, 32-0 (heavyweight).